Dr. Göran Carstedt is chairman of The Natural Step International, a non-profit organization with a scientific approach to sustainable development. Dr. Carstedt joined the Clinton Climate Initiative in January 2007 as Senior Director of the C40 initiative and is engaged in the formation of the Society for Organizational Learning (SOL) Global Network. 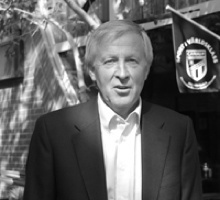 Dr. Carstedt is also an advisor and coach to various European, US and Asian organizations and serves as chairman and board member for several corporations. He is the former head of IKEA Retail Europe and served as a member of the IKEA Group Management Board from 1990-1997 and as President of IKEA North America from 1990-1995. Before joining IKEA, Dr. Carstedt served for many years in different executive positions with Volvo. He joined Volvo in 1974 as Manager of Market Planning at the Car Division in Gothenburg, Sweden. He was Manager of tthe Corporate Planning Office at Volvo Headquarters, President of the Car Division at Volvo France SA in Paris, and President of Volvo Svenska Bil AB, the Swedish Volvo sales organization for cars, trucks, buses, spare parts, financial and computer services and car rentals. Dr. Carstedt has also served as a member of the Volvo Group Management Committee. 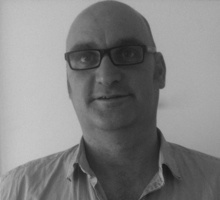 Steve Moore is Director of the London based Big Society Network. The Network is the innovation platform for the UK’s Prime Minister’s big idea; to build the Big Society. Steve was born and raised in Belfast where he co-wrote an acclaimed satirical review Now Before The Weather The War which toured the country to a mixture of rave reviews and mild bemusement. He joined the Government in 1987 and led a range of high profile employment and welfare initatives under the pioneering Lord Young. He then moved to Australia where he worked with Time-Life and the great documentary film maker Ken Burns. Upon returning to London he worked on a range of large regeneration projects including London’s Bankside, the Thames Gateway and Deptford and Brixton City Challenges and became a Director of SOLOTEC and the Learning and Skills Council. Since 2002 he has established and led three start up businesses Why Not? , Ice 3 and Policy Unplugged. He has been employed as an advisor to Microsoft, the RSA, the BBC, PWC, Department for Education and Skills, Enterprise UK, NESTA and UnLtd. Steve has curated and facilitated over 80 major conferences and festivals including 2gether, Reboot Britain and 2morro. 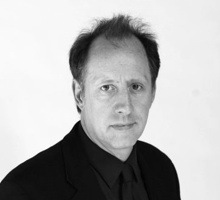 Steve is a strategic adviser to Channel 4 Television and a fellow of the Royal Society of Arts. 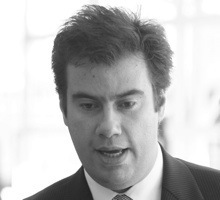 Peter Aspden is the Financial Times’ arts writer, having previously been its arts editor for five years. He joined the paper in 1994, as deputy books and arts editor and a general feature writer on Weekend FT. He has written on numerous subjects, including travel, religion, politics, history, most art forms and sport: he covered the Olympic Games in Atlanta in 1996, and the World Cup in France in 1998. He was born in London in 1958, but spent much of his childhood in Greece, where his mother was born. He was educated at St Edmund Hall, Oxford, where he read Philosophy, Politics and Economics, before going into journalism. He joined the Times Higher Education Supplement in 1985, where he went on to become deputy editor. He has been writing a weekly column on contemporary culture since January 2004; it appears in the Life & Arts section every Saturday. Elena Panaritis spent years convincing policymakers, development organizations, and local stakeholders in Peru that transformation of informal property rights is possible and that it carries sustainable economic, financial and social dividends. The actual reform application though took only three years and succeeded in bringing over 9 million Peruvians into the formal economy. She has worked in numerous countries identifying informality and developed the methodology “Reality Check Analysis” as a diagnostic tool that leads to the tailored solution of transforming informality to robust formal markets. She captures that experience in her book Prosperity Unbound: Building Property Markets with Trust (Palgrave Macmillan, 2007) and affirms her belief of triple-bottom-line model of social entrepreneurship as a catalyst for positive change. Elena Panaritis has developed a property rights reform method revolutionizing policy application in economics. She successfully transformed informal property rights into vibrant, growing formal economic and social entities. She bases her work on rebuilding trust among all constituencies. 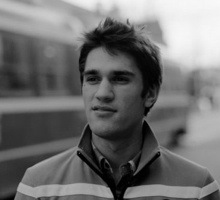 Kosta Grammatis is a visiting researcher at the MIT Media labs and the founder of ahumanright.org — an organization charged with bringing low cost internet access to the world. Kosta was the lead scientist for the video camera enabled prosthetic eye called the “eyeborg project.” and was awarded TIME Magazines best invention of 2009 for his work. He worked for Space Exploration Technologies and was the lead engineer of a satellite that is now currently in orbit. He likes big ideas. Ioannis Ragkousis is a Greek politician. As from 7 October 2009 he is Minister for the Interior of Greece. Ioannis Ragkousis was born in 1965. He graduated in economics at the University of Thessaloniki and also has a postgraduate diploma from the University of Sussex. Before joining the Greek shadow cabinet in 2007, he was mayor of Paros, in the Cyclades. 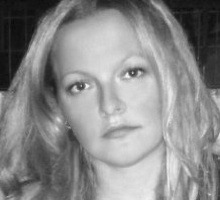 Athena is an Anglo-Greek singer songwriter born in London and raised in Greece. She is part of London’s melting pot and creative energy, collaborating, recording, performing and writing with international musicians and songwriters such as Chris Difford (Squeeze), Geoff Martyn (Travis), Chaz Jankel (Blockheads), Marti Pellow (Wet Wet Wet), Adam Levy (Norah Jones), Mike Rowe (Sheryl Crowe), Ben Trigg (Arctic Monkeys, Razorlight), Jamie Hartman (Ben’s Brother). London allowed her to express her creativity and become established, having received rave reviews by the British press and headlining sold out venues and festivals ranging from the South Bank Centre in London to Glastonbury. A one hour documentary about her voice & music entitled MyMusic aired on Channel 5 and SkyArts in 2008 with Athena being hailed as one of the leading new UK singers and songwriters. 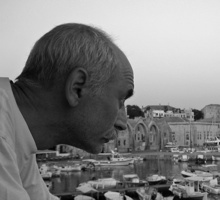 Yiannis Giannarakis is an enterpreneur, active in electronic publishing and digital content since 1985. 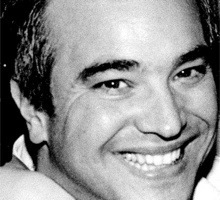 He was one of the founding members of the Greek leading internet portal www.in.gr where he acted as Managing Director for the first five years, from conception till its establishment as a major media factor. Among others he was Director of the Greek edition of National Geographic books and videos, newspaper collumnist and editor of various electronic and paper publications. Born 1959 in Alexandria, he studied Biology in Athens, never finished his PhD in Bioinformatics, and spends some weekends hiking, and mountain-top communicating with very low power in radiowaves. Thodoris has worked on print and online media for more than a decade. Throughout this time he has developed a fascination with technology that borders on fanboyism. These days his main focus as Chief Internet Officer at IMAKO MEDIA SA, a leading media company in Greece, is to figure out how all these exciting new ways of consuming media will shape a market in turmoil. In the past Thodoris has written a novel for young adults, has translated literature (including a book based on a popular Twitter feed), and has written professionally about books and gadgets. He still writes for lifestyle magazines and on the web, dabbles in painting and photography, and operates a small network of niche-targeted blogs. His latest book features long form non-fiction stories published in Esquire magazine during the past eight years. Alexandros Damoulianos was born in 10-07-1990. He graduated from Ilion High School for Students with Disabilities. He is an undergraduate student at the School of Philosophy, University of Athens. He started writing poetry at the age of 14. Two years ago he participated in the festival EMOTION PICTURES with his own script for the short film “God on the horizon”, which was shown in many countries. Moreover, his first poetic collection, under the same title, is published under the aegis of the Secretariat General of Communication and Information. He was nominated for the award of will at “Life Awards”. 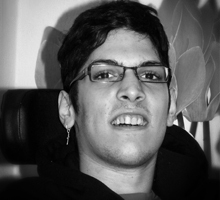 He is a special needs person, with cerebral palsy and spastic quadriplegia. Kyriakos Pierrakakis is the Chairman of Greece’s Institute for Youth, which is supervised by the Greek Ministry of Education and focuses on youth entrepreneurship and innovation issues. 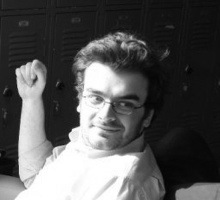 An interdisciplinary policy thinker, Kyriakos has been trained in economics, international relations, political science and computer science. He is a Doctoral Candidate at the University of Oxford and a graduate of the Engineering Systems Division of MIT, of the John F. Kennedy School of Government of Harvard University and of the Department of Informatics of the Athens University of Economics and Business. 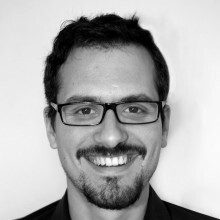 Kyriakos has worked as an analyst at the Center for Energy and Environmental Policy Research at MIT and at the Center for American Progress in Washington DC. He has attended TEDGlobal 2009 & 2010. 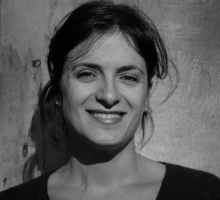 Maria is a philologist and has been involved in journalism for the last 15 years. She is the mother to an 11 year old princess and a 9 year old prince who suffers from autism. Her son’s autism was what pushed her and motivated her to make drastic changes to herself which in turn transformed her entire personal and professional life. This is how she began to publish “Special Life” in 2009, along with a small team of associates, a magazine about autism and P.D.D. (Pervasive Developmental Disorders). The aim of the magazine is to bring awareness, support and a connection for people dealing with the condition in a sensitive and positive way. “Special Life” has already built its own community and Maria has become responsible for keeping the members up to date and bonded together. The magazine has managed to make a significant impact on helping sufferers be heard and noticed and aware that they are not alone. Maria believes that every time life tests us, along with it comes the opportunity to discover our inner strengths and to act beyond our physical limits, which can have an on-going influence not only on ourselves and our lives but on the people around us too. Dr. Dimitris Protopsaltou is an associate partner of the Veria Public Library and responsible of its media and communication strategy that has led to the Bill & Melinda Gates Foundation award for promoting access to learning in 2010. He has contributed to the EU projects EuropeanaLocal, PULMAN, CALIMERA, Untold Stories and ISTAR. He has developed the “Future Library”, the first social network in Greece for people in cultural institutions. He is also the Managing Director and one of the co-founders of Digital Humans, a start up of the University of Geneva to research and develop a Virtual Try-On application for fashion retail. He received his PhD in Information Systems from the University of Geneva in 2007. He is a University of Manchester (UMIST) graduate holding a B.Eng in Software Engineering and an M.Sc in Technology Management from the Manchester School of Management. 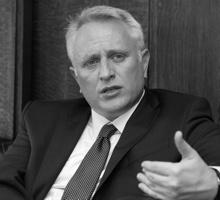 He collaborated with the Faculty of Law of the University of Geneva, involved in a Swiss National Foundation project in the area of online arbitration. Dimitris joined the Department of Informatics and Telecommunications of the University of Athens as a Professor of Algorithm Design in 2010. From 1998 to 2005 he was with Microsoft Research in Redmond and since 2005 with the Department of Computer Science of UC Santa Cruz. In theory, his expertise lies in the interaction between randomness and computation and his work on that topic has appeared in journals including Nature, Science, and the Annals of Mathematics. For this work he has received an NSF CAREER award, a Sloan Fellowship, and the prestigious IDEAS grant from the European Research Council. In practice, he likes to think about scalability questions and holds 18 US Patents ranging from load balancing and cache optimization to web search personalization. He actively consults with a number of Bay Area companies. In his free he time enjoys overworking. He was born in Athens, Greece. He studied Physics in Athens University and Music in the University of Ottawa, Canada. He has been a high-school teacher since 1990. In 2004 he created and directed a student magazine called “Schooligans”, which has been published nationwide as an inset in the newspapers “Eleftherotipia” and “NEA”. In 2005 he created a music festival called “Schoolwave”. Highschool bands from Greece and Europe come to Athens every July and play their own music on a huge stage in front of thousands of schoolmates. In the past 5 years, Schoolwave has become the biggest high-school festival in Europe with over 2,5 million views on Youtube. Monsieur Minimal a.k.a. 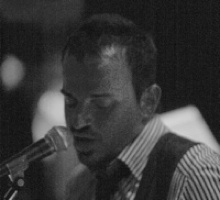 Christos Τsitroudis was born and raised in Giannitsa, Greece. He has been writing and producing music as Monsieur Minimal for the last 5 years. He was one of the most talented and successful competitors of the Coca-Cola Sound Wave festival in 2007, with his songs ‘’Silk’’ and ‘’Love Is A Circle’’. His first official release was in the City Campers compilation (The Sound Of Everything) in 2008. He was the artist that received the biggest attention from this project. His debut album, titled ’’Lollipop’’, was released in 2008 by The Sound Of Everything and received impressive reviews from press and radio, while it soon became a best seller of the local indie scene. His music can be defined as mainly indie pop but with a lot of electronic influences and elements. But the key to his success are the simple, beautiful melodies and sweet pop vocals, which made this album a hit across a wide range of radio and tv stations in Greece. Following the success of his album, Status magazine, one of the most popular male magazines in Greece, voted him in category of the “face of the year 2009”. Following the success of the debut album and the unprecedented hype he received from the Greek media as a new talent, he decided to record his second album, titled “Pasta Flora” in Greek. His music preserves the same successful ingredients and the lyrics convey the same meaning: Love! The album was released in 2010 and instantly received massive airplay form several radio stations across the country. Dimitra Galani, one of the greatest female singers of Greece with a career spanning more than 30 years in the music industry, sings one of the album songs titled “Mia Zoi”. Although this project enjoys an early success, Monsieur Minimal is already writing new songs for his third album, released in 2011, which will be in English again, just like his debut album, Lollipop. Alexis Stamatis is a well known Greek novelist, and poet born in Athens, Greece. He studied Architecture at the National Technical University of Athens and received graduate degrees in Architecture and Cinematography in London. He is the author of eight novels and six books of poetry; his work has been translated into English, French, Italian, Russian, Spanish, and Turkish. His second collection of poetry, The Architecture of Interior Spaces, was awarded the Nikiforos Vrettakos Poetry Prize in 1994. 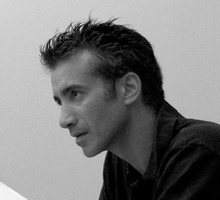 His novel American Fugue (Kastaniotis, 2006) was awarded an International Literature Award from the NEA and was published this year in the US. His play Dakrygona is been staged in Kefallinia’s street theater. His latest novel is Kill your darlings (Kastaniotis, 2009). Alexis Stamatis has represented Greece at several international book fairs and literary seminars, including the International Writing Program at the University of Iowa, which he attended through a Fulbright Foundation Artists and Art-Scholars Award. As of Septermber 2010, Alexis also writes for the Huffington Post as a Contributing Editor. 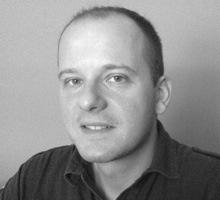 Yannisis the creative director and Co-founder of NOMINT, an internationally acclaimed motion design studio, based in Athens-Greece . He was trained as an architect at Bartlett School in London and received a Master ofArts with distinction in Scenography, at Central Saint Martins College of Arts and Design. After completing his studies, he moved back to Athens, Greece and began working as a freelancer creating motion graphics for theatres and operas. In 2007, along with his long time friend and colleague Christos Lefakis, decided to start up their own motion design studio called NOMINT. In less than 3 years, NOMINT hasgrown from an idea to a constantly expanding award-winning motion design studio, with a broad range of clients in Greece and the rest ofthe world. Its work has been screened at highly prestigious international festivals and featured in influential design and trade journals. In 2010, NOMINT became the only Greek creative studio to have received the prestigious ADC Young Guns award. 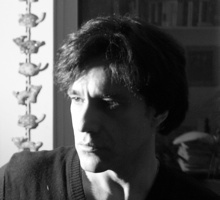 Konstantinos Lazarakis M.W. (born May 24th, 1970) is a wine educator, wine journalist, author and wine consultant based in Piraeus, Greece. He is the first and, so far, the only Greek to achieve the prestigious Master of Wine professional qualification, a highly regarded title that less than 300 people hold around the world. Lazarakis is also the holder of three distinctions related to the Master of Wine exam or membership to the Institute of Masters of Wine: the Villa Maria Award for an outstanding paper on viticulture, the Madame Bollinger Medal for excellence in the wine tasting exam and the Quinta do Noval Award for being the MW communicator for the year 2006. Lazarakis studied Mechanical Engineering in the National and Technical University of Athens and Jazz Guitar in the Aeolian School of Music. He entered the wine industry in 1994, working as a sommelier for Bajazzo in Athens, the first restaurant in Greece to be awarded a star from the Michelin Guide. He relocated in London, UK in 1995, where he worked for the Oddbins retail chain and for Sir Terrence Conran Restaurants. After seven years of studying, Lazarakis finally passed all parts of the Master of Wine exam in 2002. Since then, he has been an active mentor of MW students and, for years 2007 to 2009, the Second Year European Course Coordinator for the Educational Programme of the Institute of Masters of Wine. He currently sits at the IMW council. Currently, he owns Wine and Spirit Professional Consultants Ltd, an educational organisation in Athens that runs the trade qualifications of the London based Wine & Spirit Education Trust. 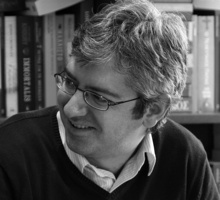 He writes for Status, a life style magazine from Liberis Publications SA, and for Ampelotopi, Greece’s only wine trade newspaper, published by Vinetum Ltd. Lazarakis’ articles appear regularly in the international wine press and in publications like UK’s Decanter Magazine and Wine and Spirit Magazine. He judged in international wine competitions / shows in Australia, USA, UK, South Africa, Belgium, Portugal and Greece.